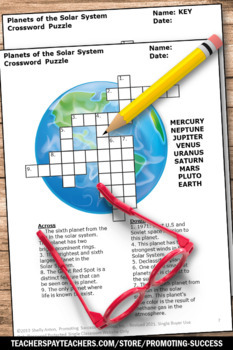 Planets Activity: In this packet, teacher will download one crossword puzzle, clues, word bank and answer key. NOTE: Students will need to conduct their own planet research to complete the activity. 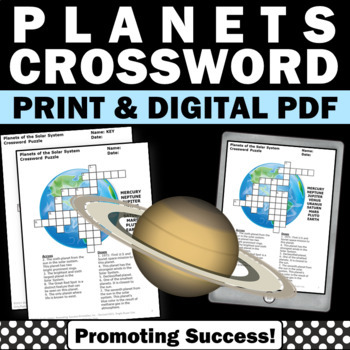 This crossword puzzle supplements a solar system unit and works well for bell ringers, early finishers, as homework or as extra practice for special education.